If you read the Bible through cover to cover, and I’ve done it often, you may get bogged down in Deuteronomy or Leviticus, so I recommend you start with the New King James version, which is the one most often quoted, and I’d read The Message for all the historical books, Chronicles, Kings, and Samuel. 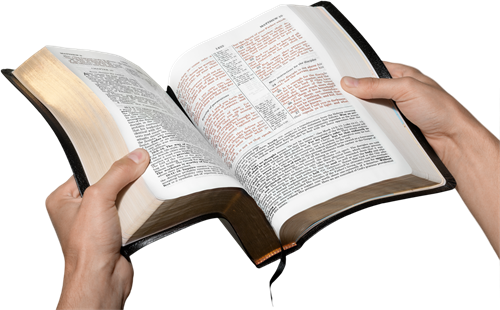 Try to skip around the other books reading those chapters that have come up in discussion or a sermon. Let’s say your minister speaks on Ben-Hadad. He is a wicked King of Syria and Syria’s wickedness is at the top of our current news. If you get up early in the morning to do this, the thoughts you read will filter through your brain during the day and keep your mind off how broke you are. After you read a chapter check off the number at the chapter heading. If you read 3 chapters each day and 5 on the weekends you should be done in a year. One Psalm each day will take 5 months. Now that doesn’t sound so tough, does it?